day 4199: a new year’s day hockey tournament! 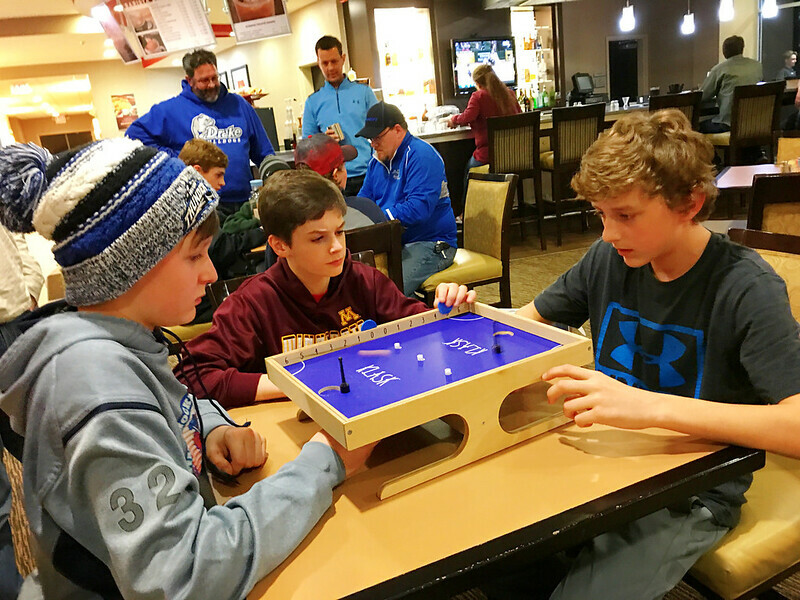 it’s become a tradition to spend new year’s day at a hockey tournament where teams are made up of players from around the region. it’s a great way for the kids to get to know other players and a perfect way to spend the first day of the new year. 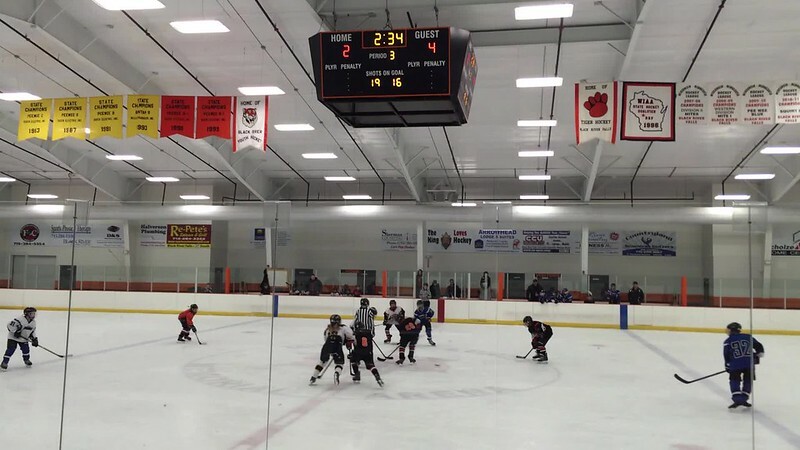 this year the pee wee tournament is hosted in black river falls which is about an hour away from our hometown. odin’s team won the first game of the tournament, 2-4. a great start to 2016! 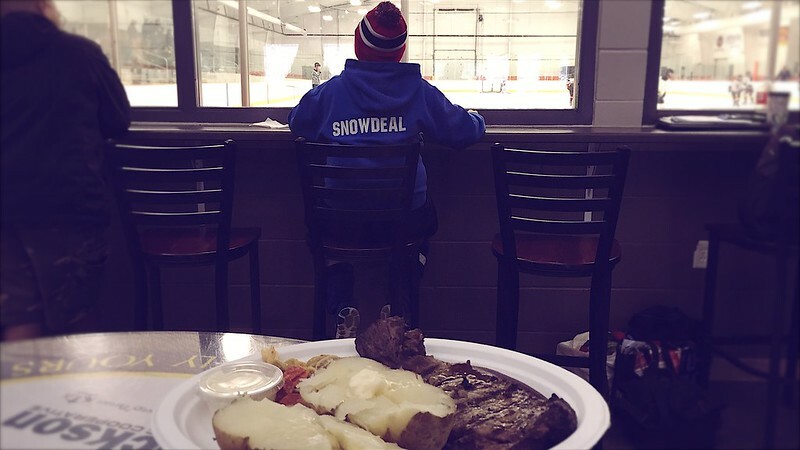 watching teams in between games about to dig into tourney fundraiser grilled steak and potatoes which we’ve learned is way better than you might expect to find in a hockey arena. aaaand odin’s team won second game, 3-5! they’re leading tourney in wins & points. just one more game! 52 shots on goal! whooooo! odin’s team swept the tourney send won their third game! 1-5. i’m going to guess their will be some tired kids after 3 hours of hockey. i spy odin spying me. 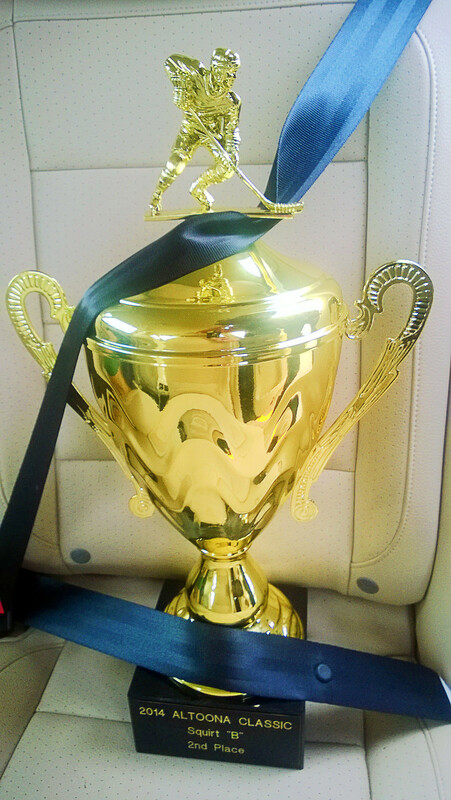 no trophy, no awards – nothing but the the satisfaction of knowing they won the tournament. great job, team! we’ll definitely be back next year. 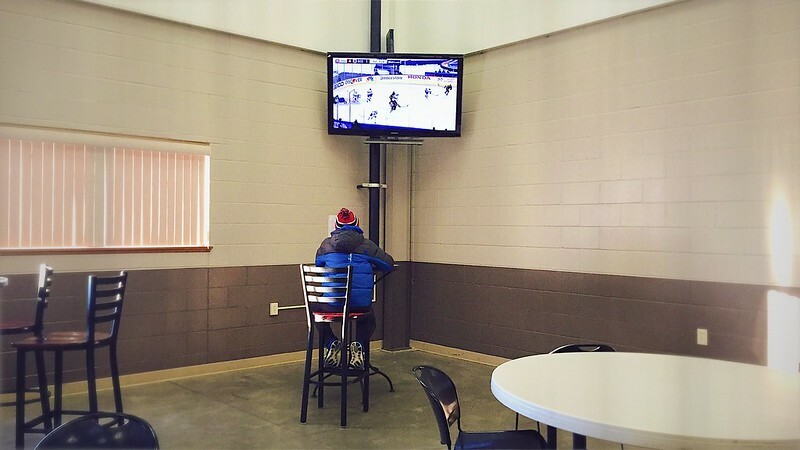 after the games, with the crowds clearing out, odin finds a seat to watch the winter classic. 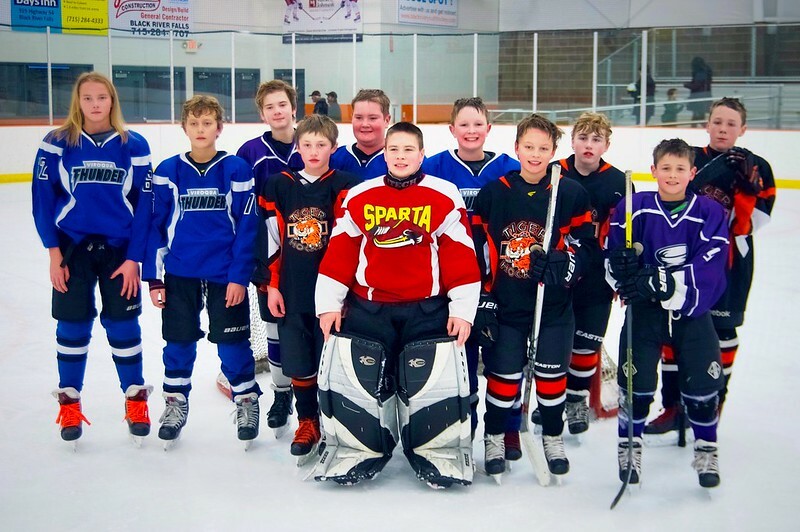 first day of the waupaca “super squirt” tournament. odin’s team lost their first game against a milwaukee area team, but won the second against a team I can’t remember the name of! it was one of the best games i’ve seen them play in part because they game back from being down 6-4 to winning 7-10.
tomorrow they’ll play against appleton for 3rd place trophy! 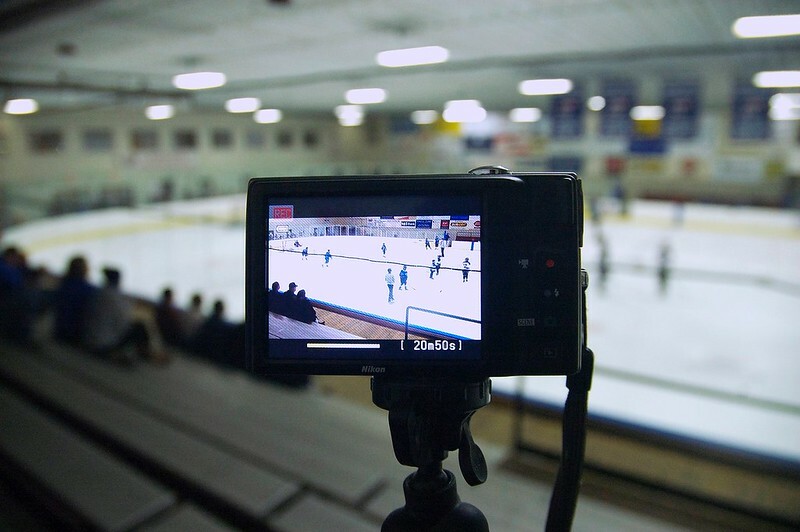 I’m broadening my role beyond youth hockey sports journalist to game videographer so they can review in practice. 51/365. 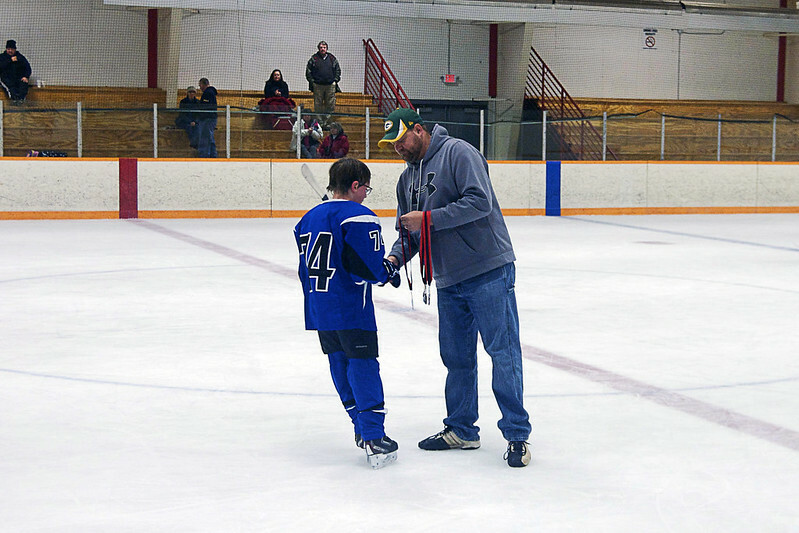 hockey tournament weekend in waupaca, wisconsin. first game is tomorrow morning at 7:45am. ugh ( you have to be at the arena an hour early ). day 3816: scenes from the altoona squirt hockey tournament. 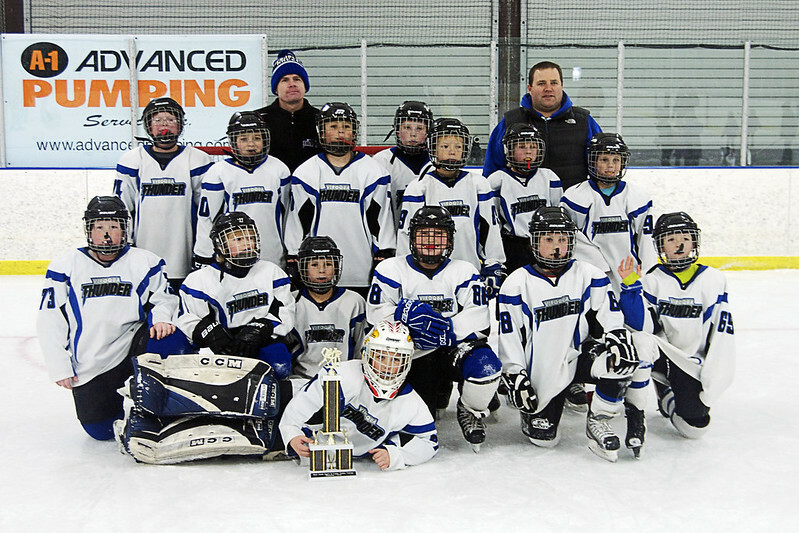 just one week after taking home the first place trophy in the 11th annual frozen tundra, odin’s hockey team was back on the road playing in the squirt tournament in altoona, wisconsin. 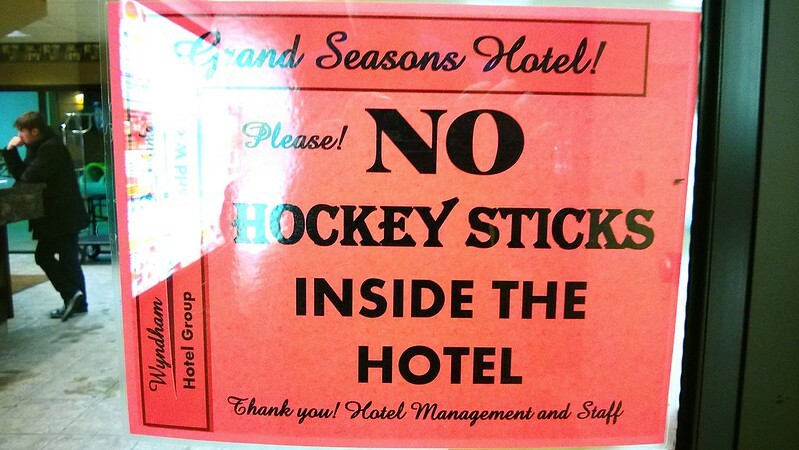 weirdly, for second year in a row, after driving 2 hours, we asked who remembered the hockey stick? d’oh – none of us! oh well, good thing there are other lefty players with loaner sticks. the first game against baldwin, it was tough to watch odin’s team lose in last three minutes after having led entire game, 5-4. i think that perhaps they were just a little too confident after winning every game last week. a good character building game! 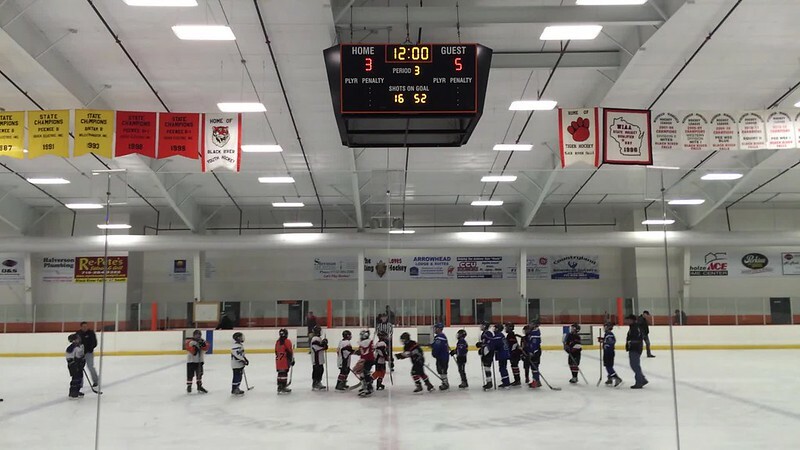 lesson learned, the team kicked into gear and handily beat amory, wisconsin 5-0. odin got an assist! for the third and final game, the team handily beat altoona 4-0 and earned the second place trophy! as in the previous tournament, the team is playing really well as a team. it’s so much fun to watch them come together as a cohesive unit. 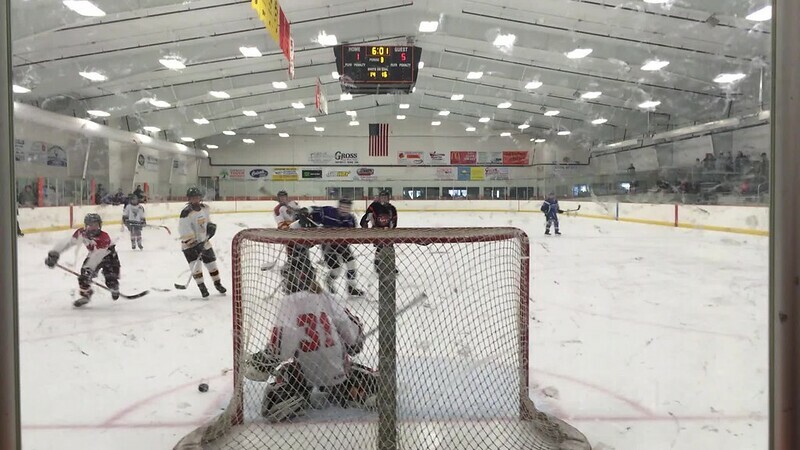 in the above photo, austin nundahl connects with the puck and scores! bo milutinovich scores under pressure from altoona players. 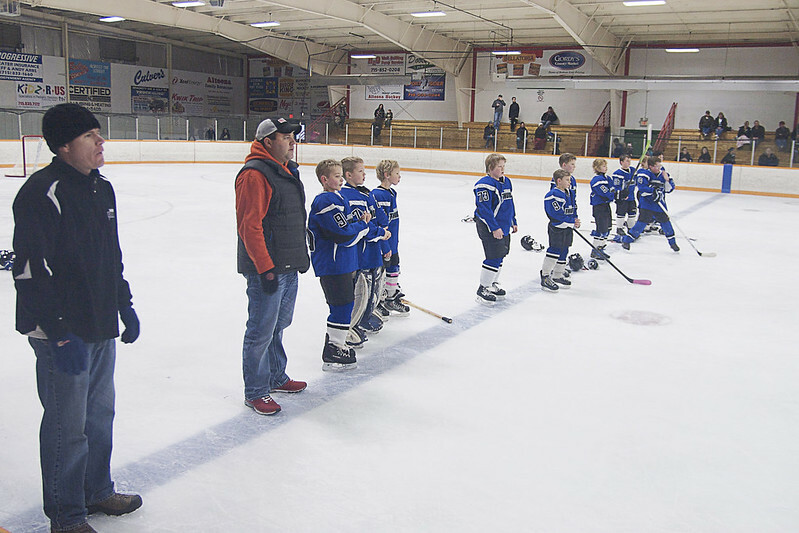 at the end of the tournament, the teams line up on the blue lines to receive their participation medals. after the medals were received, they got their second place trophy and foisted it up in the air. i was a little nervous they might drop it! the odds of getting a newspaper friendly team trophy shot with all eyes open and looking towards the camera and no goofy faces? zero! we safely transported the sweet second place trophy home and took it to the hockey arena to sit next to their first place trophy from last week. odin thought it was a good idea to buckle it up! 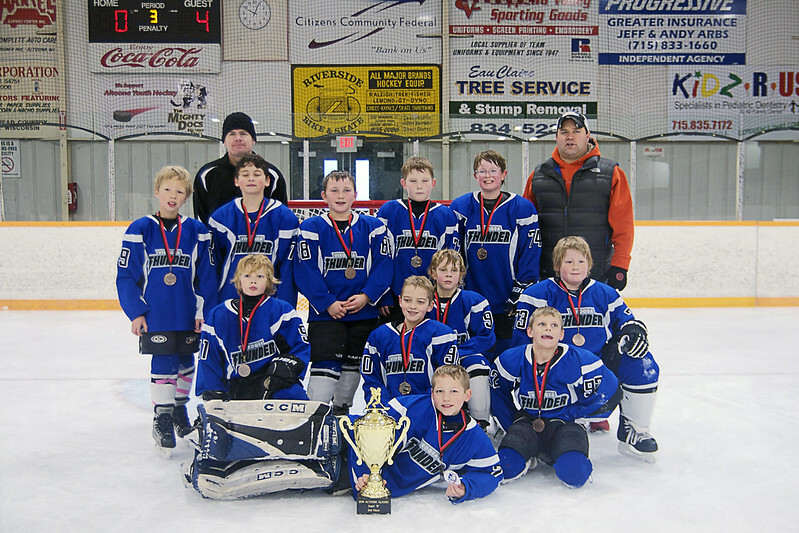 day 3809: the viroqua thunder take first place in the frozen tundra tournament! 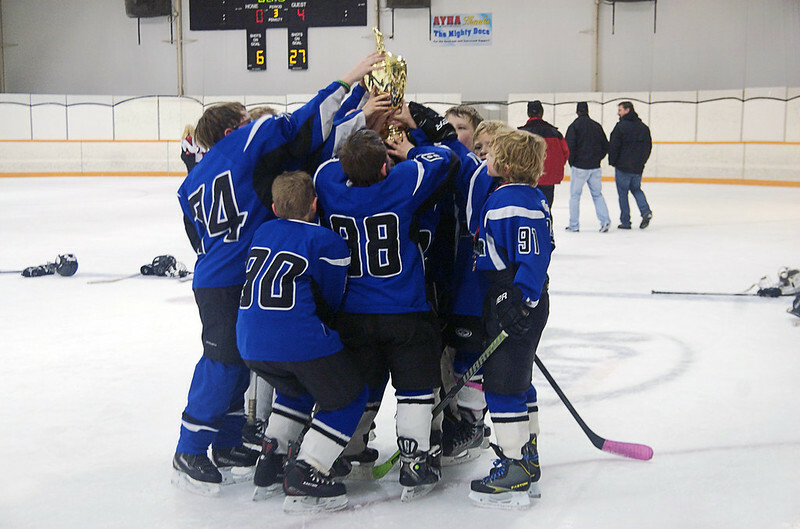 whoohoo, odin’s hockey team, the viroqua thunder “squirts” took home the first-place trophy in the 11th annual frozen tundra tournament in west salem, wisconsin. 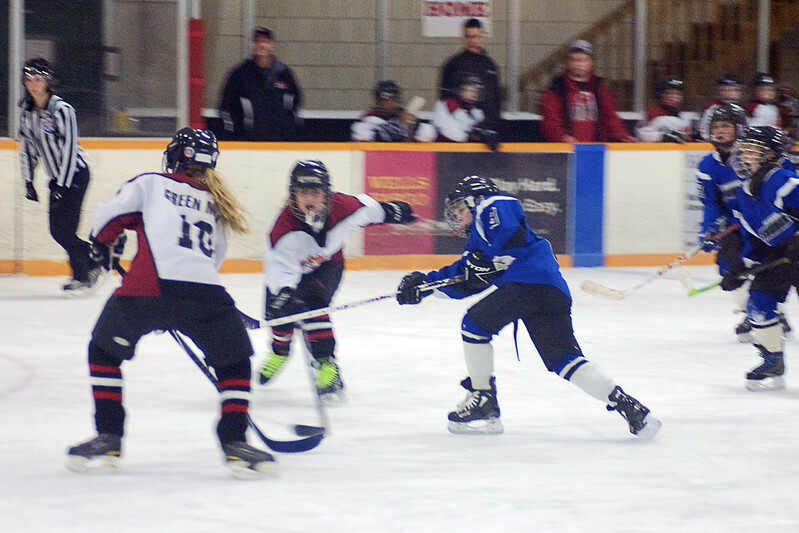 the viroqua Squirts bested west salem 10-0, menominee 3-2 and la crescent 9-2 to make it to the championship game against black river falls. 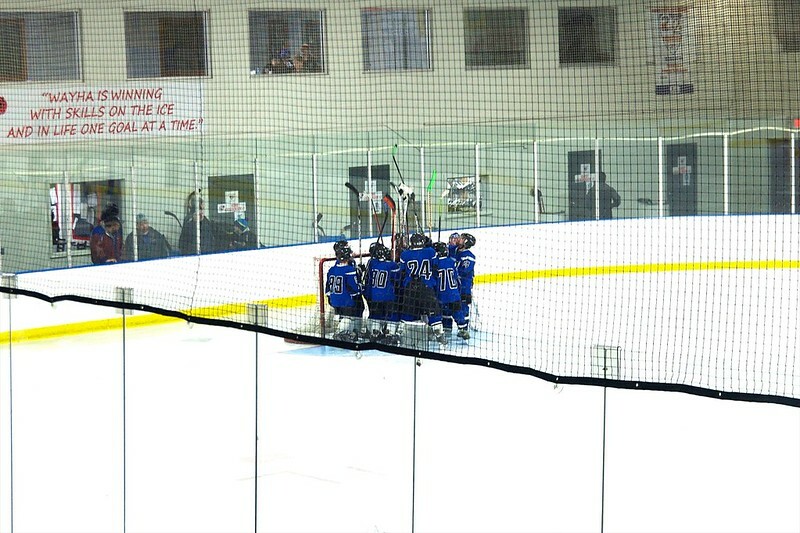 the thunder won that game 9-2. the team is playing very well as a team with lots of passing and scoring coming from a range of players. 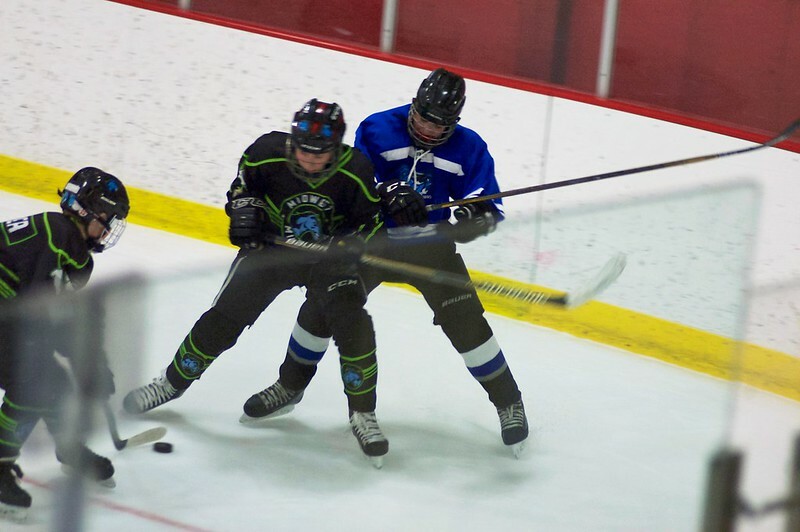 odin’s still loves playing defenceman and he’s doing a great job with his fellow defenceman, holding the puck at the blue line and sending in strong shots towards the goal. to assist the offense. 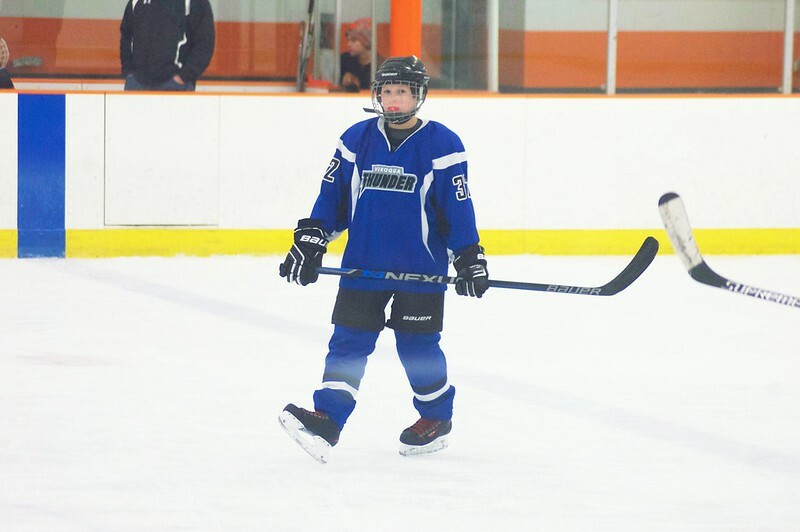 he’s getting at least one assist a game and even scored a goal from the blue line! the whole team is really fun to watch. i think it’s going to be a great season. update: kris and i wrote up a story and contributed it and a photo to the local papers. we’ll probably try to do this more often. i’m taking photos anyway and it’s great publicity for the hockey program and i’m guessing the kids like to see their photos in the paper. next time we’ll remember to have them take their helmets off.